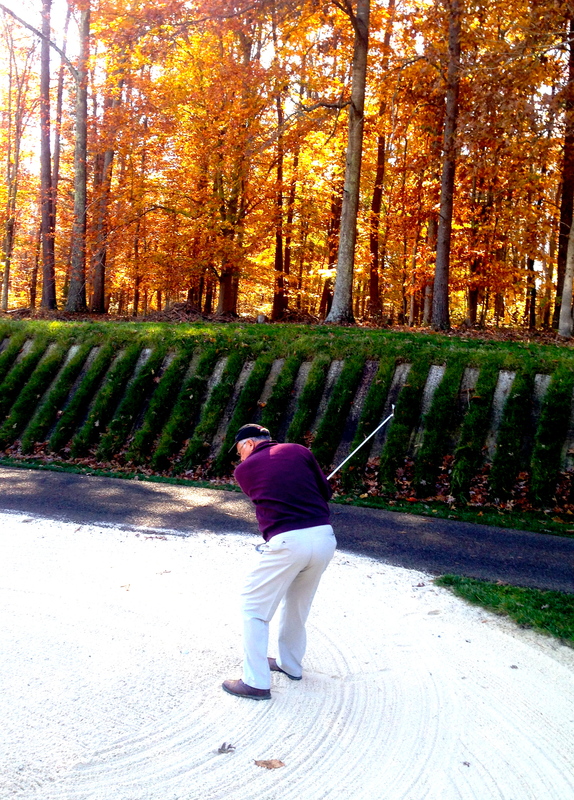 KESWICK, Va. – Pete Dye is in his late eighties now, but the most innovative golf course architect of this generation shows no signs of slowing down. His latest creation, Full Cry, is proof of that. 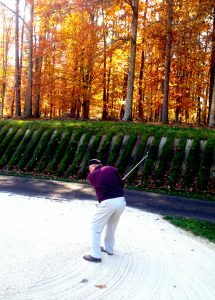 Virginia’s stately Keswick Hall is now enhanced by Pete Dye’s latest golf course creation. Full Cry opened informally in September at the Keswick Golf Club with the formal opening on Oct. 10. It’s been well received, but the acclaim will only grow in the coming months. Dye has designed over 300 courses world-wide, and not all are as user-friendly and fun as Full Cry, the name derived from a fox-hunting term. The name hasn’t really made the rounds yet – it’s not even on the course’s scorecard – but it will once the staff at Keswick order the next wave of merchandise. The course is actually the third version on the same property, 600 acres on the outskirts of Charlottesville, that has roots to a private estate built there in 1912. The estate was converted into a country club in 1948 when the late Fred Fraley, a Virginia architect, designed a nine-hole course. Fraley added a second nine in the mid-1950s and Arnold Palmer’s design group renovated that course in 1992. Full Cry is nothing like what the other courses had been. Building Full Cry took awhile – 19 months to be exact. The finished product has all the Dye trademarks, especially the green complexes. It also has railroad ties in some places – around a pond and tee boxes — and materials from the course’s previous cart path were salvaged for similar purposes. “A wonderful use of old material and beautiful to look at,’’ said McGraw – an accurate description. Full Cry’s 17th is called the “Railroad Hole” thanks to this bridge to the tee box, created from a flatbed railroad car. The more pronounced eye-catcher, though, is the bridge leading to the tee boxes at No. 17. It’s a converted flatbed railroad car. While a signature hole hasn’t been designated yet, the stretch between Nos. 3 and 7 has been dubbed The Gauntlet and they include two really good par-3s at Nos. 4 and 7. 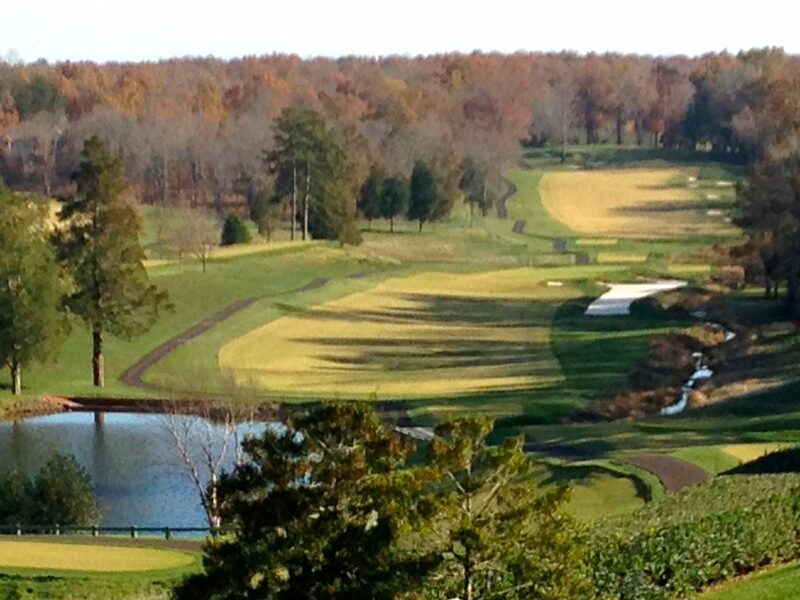 McGraw’s favorite hole is the 18th, a great visual off the tee with water on the left. It’s not mine, however. I prefer the seventh. The green at the par-3 is surrounded by white sand, creating in effect an island green without any water. A really neat hole, though first-time players may better recall the 17th when their round is done simply because of the presence of the “railroad’’ bridge. Dye installed six sets of tees at Full Cry, the shortest creating a 4,809-yard course and the layout measuring 7,134 from the tips. It’s not the challenge that his more famous courses – TPC Sawgrass in Florida, the Ocean Course at Kiawah in South Carolina or Whistling Straits in Wisconsin – present but it can be a serious test the further you move back in the tee box. As is the case with any well-designed layout, full enjoyment comes when you use the appropriate tee markers — and that’s especially true of Dye designs, including this one. My favorite hole, the par-3 seventh, features the Dye trademark railroad ties. 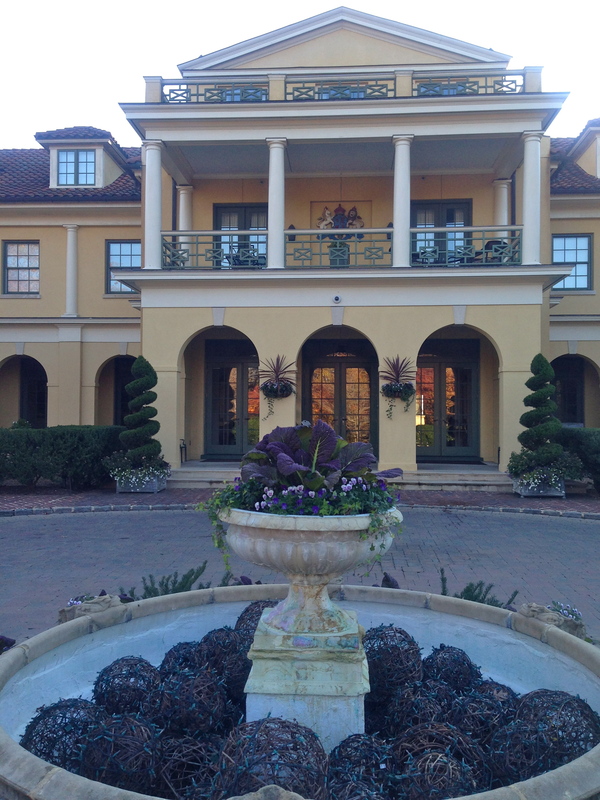 Keswick Hall and Golf Club was acquired about three years ago by Riverstone Group, which is based in Richmond, Va. It also includes the well-known Kiawah and Sea Pines golf resorts and two hotels – Hermitage in Nashville, Tenn., and Jefferson in Richmond. Riverstone is a family business that was founded by Bill Goodwin. His daughter and son-in-law live in Charlottesville. While the focus here is on the golf, there’s much more to the Full Cry experience. 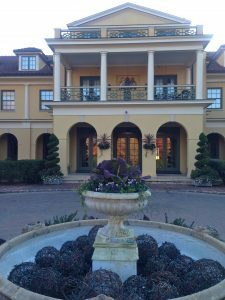 Keswick Hall is a full-fledged retreat for golfers with its pleasantly elegant 48-room hotel, and accompanying recreational and dining opportunities. Just a few months after the Full Cry opening Keswick Hall was honored with the coveted Forbes Five-Star Award in recognition of its exceptional level of luxury and service. The view of the course from the hotel is awesome, and it’s just a short walk from the hotel to the pro shop. You need to be either a resort guest or the guest of one of Keswick’s 150 members to tee off at Full Cry. The plan is to increase the membership and lodging opportunities eventually and that shouldn’t be difficult once the popularity of Full Cry is in full force. In February Keswick announced an exclusive partnership with famed sports psychologist Dr. Bob Rotella. He lives in the area and is now Keswick’s Mental Golf Coach. 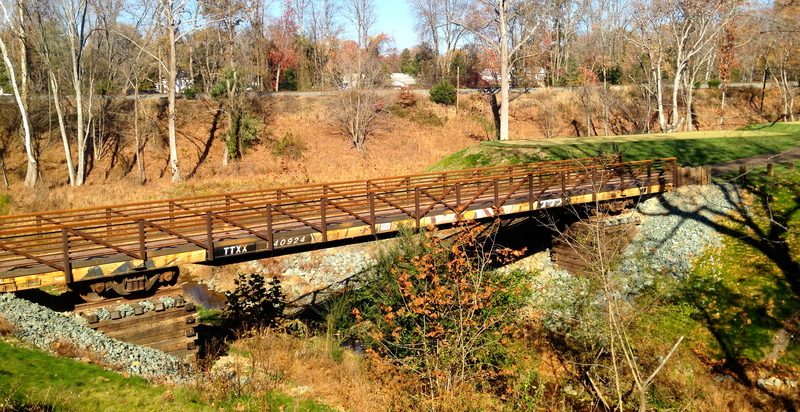 While the central Virginia town of Keswick is small, the options around it aren’t. Monticello, the historically inspiring home of Thomas Jefferson, is just a few minutes away and two other presidential retreats from the country’s early years – the homes of James Madison and James Monroe – are also in the Charlottesville area. They provide an ample look at the area’s rich past, while Full Cry is an indication of the good things coming down the road. Panoramic views of the Full Cry course abound from the Keswick Hall balcony.